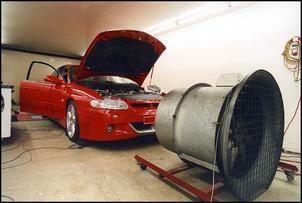 Most car modifiers can think of plenty of ways of getting more power – by fitting a new exhaust, tweaking the intake, raising turbo boost or modifying the engine management. But that last one – engine management – is almost never thought of as a way of gaining better fuel economy. But in these days of ever-increasing fuel prices, electronic techniques can be used very effectively to improve fuel economy. And it’s a benefit that you can enjoy every minute that you’re driving - not just when you put your foot down. But be aware that – like many other car mods – the results of the changes may be legal, slightly illegal, highly illegal or completely illegal... all depending on where you live and the laws that locally apply. The ratio of the mass of air to the mass of fuel that the engine inhales is known as – wait for it – the air/fuel ratio. In everyday driving, nearly all cars hold what’s called a stoichiometric air/fuel ratio, where close to 14.7 kilograms of air are mixed with each kilogram of fuel. The oxygen sensor(s) positioned in the exhaust let the engine management system know when the air/fuel ratio is at this value (the sensors are designed to be particularly sensitive at this point) and the management system actively adjusts the injector openings to maintain these mixtures. However, while a 14.7:1 ratio is good for emissions, a richer air/fuel ratio is needed for best power. So when high power demands are being made, most car systems change from a 14.7:1 air/fuel ratio to one that is much richer. Richer mixtures – eg 12:1 – mix the same amount of fuel with less air, or, to put it another way, add more fuel to the same amount of air. When the oxy sensor is controlling the mixtures at 14.7:1, the management system is working in what’s called ‘closed loop’. When the system forgets about the input of the oxygen sensor and sets its own internally mapped mixtures, the system is working in ‘open loop’. OK, so what’s all this got to do with good fuel economy? Simple: the leaner the mixture (higher the number, eg 16:1) that you can run for the conditions, the better the fuel economy will be. In some cases the engine will produce less power on the leaner mixtures but even with the need for greater throttle openings, you’ll still be ahead in economy, especially if you pick exactly when those lean mixtures will occur. That’s the broad-brush approach, but the devil is in the detail. Changing the air/fuel ratios away from those set by the manufacturer involves tweaking the management system. While it can be done with fuel pressure changes, to achieve what we’re talking about here mostly requires electronic mods. These can be done in all the traditional ways of modifying management systems: re-mapping the factory ECU, fitting an interceptor, or fitting completely new programmable management. 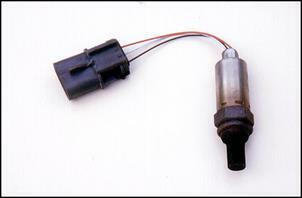 As you’ll see in a moment, some techniques for improving fuel economy lend themselves better to specific types of electronic modification techniques than others. Unless you’re running modifications that are pretty borderline (eg bolting a supercharger onto a high compression engine and not changing the ignition timing), in nearly all cases where the engine runs rich mixtures at high loads, the mixtures can be leaned out a little without any negative consequences. Manufacturers run rich full-load mixtures primarily to keep the exhaust system - and specifically the cat converter - from getting too hot. Mixtures as rich as 10.5:1 or 11:1 are not at all uncommon, and such an approach means the engine is simply glugging down the fuel whenever you’re hard on the throttle. Depending on the engine, the modifications and the power you’re chasing, full-load mixtures can be revised to being in the range of 12:1 – 13:1. Furthermore, in some cars it’s not just at full load where the mixtures go rich – sometimes they jump out of closed loop really early in the rev and load ranges, dropping straight into the very rich mode. Again, that’s glug-glugging. But won’t running leaner than standard mixtures at high loads kill the engine - or the exhaust? The answer is: not if you’re a normal road driver. If you’re on a racetrack or if you live in a jurisdiction that allows you to hold full throttle for an hour at a time, well, in those cases I’d be a bit wary of going too lean at full load. But the vast majority of people just give their road-going cars 10 or 15 second squirts at full throttle – in these cases, there are no problems at all with running high load mixtures leaner than standard. Note: most dyno tuners who have control over the mixtures (eg they’re tuning the car after the fitting of a new exhaust and intake) will lean-out the high load mixtures a little – they’re often so rich that in fact leaner mixtures will improve power. However, in this type of tune you should stress that you want the open loop mixtures leaned out right through the range, not just at full throttle/full rpm. Something else to keep in mind is that these days, plenty of new cars stay at 14.7:1 mixtures all the time – even at full load. Of course, their engines and cat converters have been designed for those mixtures but it shows that it is quite possible to run very much leaner mixtures than were often thought to be the case. While leaning-out high load mixtures is something that can be done on the majority of cars by using an interceptor, ECU re-map or aftermarket programmable management, tweaking the factory lean cruise is really something that can be done only by ECU re-mapping with dedicated software. And of course the car needs to already have a factory lean cruise function! 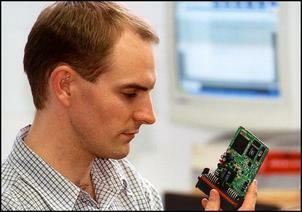 Factory lean cruise is a mode that’s entered by some ECUs when certain conditions occur. For example, the car might have to be travelling over 80 km/h for more than 10 seconds with little throttle movement. In these conditions (or whatever ones are programmed in), the manufacturer realises that the car is being pedalled gently down a freeway (or whatever) and knows that they can get away with the slightly doughier throttle response of lean mixtures. The selected lean cruise criteria normally don’t occur in a government emissions test, so avoiding measurement of the increased outputs of Oxides of Nitrogen – NOx – that occur with mixtures leaner than 14.7:1. However, while the lean cruise system is set up to pass the test, it’s not set up for best economy. If the tuner has access to the factory software maps, they can: (1) put the car into a lean cruise at lower speeds, (2) make the lean cruise mixtures leaner than they were previously, and (3) enter the lean cruise mode earlier. The ECU will still jump out of lean cruise mode if the driver puts their foot down, so it’s not as if you lose lots of power. Very few tuners will have (a) the knowledge of the lean cruise function, and (b) the software that will allow them to tweak at this fine level of detail. However, I’ve seen it being done on older Holdens with Kalmaker software and there certainly will be many other cars on which it can also be done. 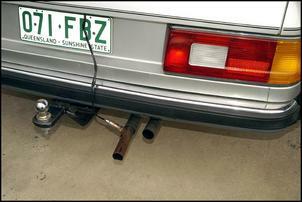 On a long drive, this modification can make a major difference to the fuel economy. 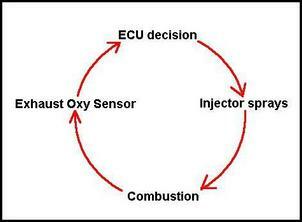 As was said above, in closed loop the ECU watches the output of the oxy sensor and actively keeps the mixtures at 14.7:1. That precludes tuning them to a leaner value unless you fit programmable management and completely discard the factory system. However, it’s quite possible to unplug the oxy sensor(s) and then tune the complete load range to whatever mixtures you want. That’s a pretty radical idea and a few things need to be kept in mind. 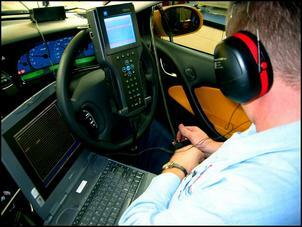 Firstly, the ECU will log a fault code and in many jurisdictions the car will be illegal. (However, in many others it won’t be!). Secondly, the missing oxy sensor may well cause the ECU to automatically go to very rich mixtures – but that’s OK, because you’re about to change them anyway! Re-mapping the mixtures of a car that no longer has the oxy sensor input can be done with an interceptor or ECU software re-map. You’ll probably run around 14.7:1 at idle but at light loads you can run quite a lot leaner than this with no engine misbehaviour. How lean you can go depends on a host of things including gearing, engine combustion efficiency, etc, but certainly ratios of around 16:1 are usually quite tolerable. In some cars, at light loads you can go as lean as 20:1. You can even enact your own lean cruise mode, by watching carefully the load at which you’re travelling at 100 km/h (or whatever) and then leaning out a little at just these load sites. Too much and you’ll get a flat spot, but again with careful tuning, it’s possible (especially when it’s being done on the road) to go leaner by at least a ratio and sometimes more. Taking this approach means you can set total engine mixtures from as lean as (say) 16.5:1 to as rich as 12.5:1, depending on the load and rpm conditions. Significantly, the car will spend most of its time at the leaner-than-standard mixtures, making a real and measurable difference to fuel economy. So how much improvement in fuel economy will result from these techniques? Since we haven’t seen all of them carried out on the one car it’s hard to give an answer. A lot also depends on how much leaner the air/fuel ratios can actually be made with the car still able to run well. But, in short, fuel consumption improvements of 15 – 20 per cent are quite possible with little or no change in performance. At minimum, when getting engine management modifications made, you should stress to the dyno tuner that you want mixtures tuned for improved part-load economy as well as full load performance.